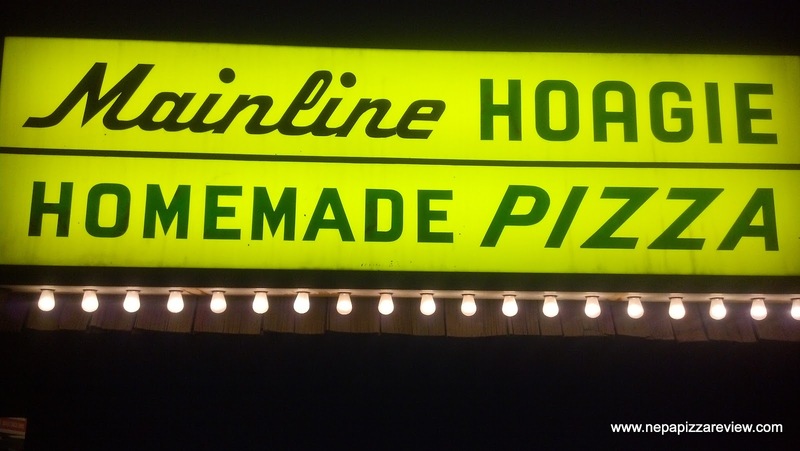 Since I am running out of pizza places that I am really familiar with, it is becoming more and more important to rely on reader submissions from the NEPA faithful. 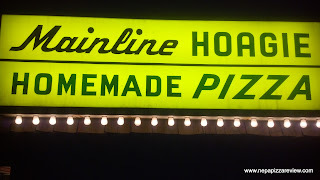 I had received several suggestions both through my social media connections and word of mouth to get out and try Mainline Pizza and Hoagie in Dickson City, PA. Located right on Main Avenue, it’s a cinch to get to, and there is plenty of on-street parking available in this area of town, even at 5:00 rush hour when I visited. If you are looking for a place to sit down and eat dinner, this isn’t the place for you, but this is clearly a serious takeout establishment that sticks to its core. It was evident when I walked in, and the small waiting area was filled with people anxiously awaiting their orders to take home to their families. I was also impressed with how clean the place was, especially the grill, which was in plain sight and churning out cheesesteaks and burgers. A grill (griddle) is not easy to keep clean, especially when the cook is busy, but the staff managed to do just that. Maybe this is trivial, but to me it was an important sign that this place pays attention to detail and cleanliness. 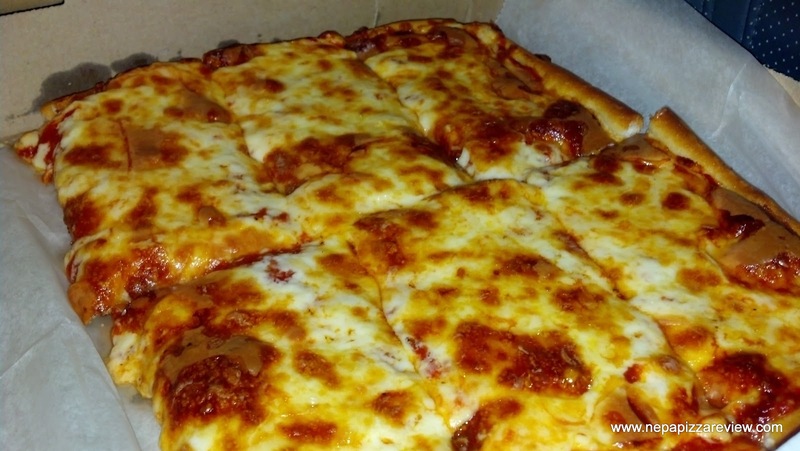 I was eating alone on this night, so I decided to just grab a half-tray of the square pizza, which would be the perfect dinner/lunch leftover combination for me. When I walked in the door, I was greeted immediately, and the pizza was handed to me within seconds so there was no wait. The pizza was piping hot, and made even me my pizza-making hands, which have nearly all of the nerve endings severed from being burned continually over the years in hot ovens, take a quick run to the car to set this baby down! I expected to see an explosion of steam when I opened the box, but I did not because of the generous layer of slightly burned cheese on top, which sealed in the moisture of the sauce. The heavy portions were welcome, as I'm a big proponent of a little extra sauce. The pizza overall was decent. I thought the cheese was a bit flavorless, although the Parmesan under the cheese did add some flavor. The sauce was simple and neutral. Although I don't think I would change the sauce's seasoning, I was left wanting a little substance and body as it was too smooth for my liking. The crown jewel of the whole pie was definitely the freshly prepared crust, which was thick, fluffy, and delicious. I wish it was crispy, but the way it was cooked was sufficient. I'd have to say, most people would probably like this pizza, but it didn't blow my socks off.